Radically transform clinical documentation with AI-powered virtual assistants. Nuance innovations continuously evolve to meet the changing needs of providers and patients. Capture the patient story accurately and efficiently across all major EHR platforms with secure, cloud‑based speech recognition, transcription and virtual scribing services. Our solutions for CAPD, workflow management and encounter prioritization provide in‑workflow documentation guidance for physicians, driving better outcomes through clinical documentation excellence. Enhance outcomes and improve performance monitoring with AI‑driven data analytics and decision support systems that deliver quality information in real time. We offer a comprehensive portfolio of services to help healthcare organizations like yours maximize investment, improve adoption, and enhance user satisfaction. Our diagnostic solutions are continuously evolving to improve the efficiency and effectiveness of radiologists’ work, delivering better clinical and financial outcomes across the continuum of care. Everything you do improves exponentially with Nuance. 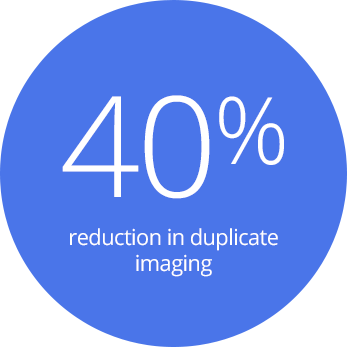 Spend 45% less time on documentation, capture the complete patient story, and ensure appropriate reimbursements. The patient story is always First Time Right with AI‑powered technology that amplifies efficiency, reduces cost, and improves the quality of clinical documentation. Used by 2 out of 3 radiologists, Nuance technology eliminates the everyday obstacles, interruptions and delays that prevent you from doing your best work. From enhanced follow‑up adherence and recommendation consistency to reduced patient length‑of‑stay, everything improves when each detail is thoroughly seen through. Patients are customers too—and Nuance has tools that optimize engagement while cutting customer support costs by 25%. With AI self‑service technologies, you’ll meet patients’ needs on every platform, doubling member call containment and getting more from your digital, outbound, and biometric security product portfolios. 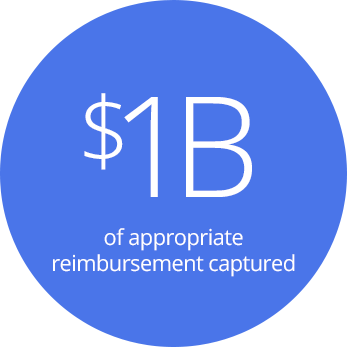 When Baptist Health engaged Nuance to enhance clinical documentation and capture accurate quality of care delivered, they also realized $45 million in appropriate reimbursement—while accurately capturing SOI/ROM. As a pioneer in speech-enabled virtual assistants and CAPD, Nuance devotes $300M annually to R&D. We guarantee 99.95% cloud speech uptime with HITRUST CSF certification. 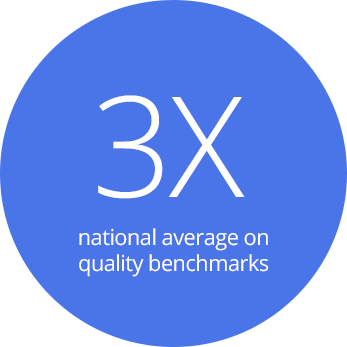 4 out of 5 facilities that use Epic, Cerner, Allscripts, and MEDITECH rely on Nuance. Our 200+ healthcare IT partnerships include 150+ embedded solutions. With 750+ proven clinical strategies and 25 years of CDI experience, we operate 3B lines of medical transcription and process nearly 300M minutes of real-time speech recognition annually.